Melbourne’s Monash University Institute of Transport Studies has been rated as the third top public transport institutions in the world, behind the University of Toronto and University of California. 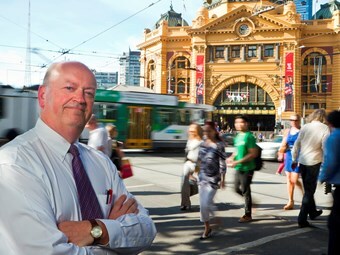 Monash University’s Institute of Transport Studies chair of public transport professor Graham Currie has also been officially recognised as one of the world’s most productive researchers in public transport by the University of Hamburg in Germany. Currie is the second most productive author in the work on the topic, based on the number of papers published between 2009 and 2013 and is the fifth most citied researcher in the field globally. While proud of this achievement and the huge contribution made by others in the field,Currie says there is still much more to be done and many new aspects of public transport to be explored and better understood. "Cities are the engines of our economy and they rely on public transport; it’s the foundation of the economy," Currie says. "People understand the benefits of it but don’t understand the finances, or realise how bad cities would be without public transport." Currie is working on 15 different research projects at the moment. One is for the Queensland Department of Transport, investigating how metropolitan public transport networks can better cater for tourists. Another is a study into the French light-railway system, which has effectively revitalised a number of small cities there. One of his most interesting projects is a look into what happens when public transport comes to a halt and the effect this has on traffic congestion. A most fascinating aspect of public transport research, Currie says, is understanding humans and how they interact with public tram port systems, engineering and how psychology comes into play. "We really need to bring together all forms of science to combat the challenges we face," Currie says. "We’ve had an impact in improving knowledge and we have gained more investment, because we widen the public’s understanding on the need for more investment in public transport," Currie says. "Now thankfully there is a common view we need better investment in this area and industry and academia are working together. "Industry is funding research now to get important messages across and hopefully influence policy." Meanwhile, information technology and smart phones have enabled a new world, which is much easier to access with a huge focus on real-time data. "It’s only just begun and it’s happening so quickly. It is a very exciting time," Currie says. The work Currie is most proud of includes research on fair evasion; regarding who doesn’t pay and why. "Our work has been extremely effective in work on fare evasion, we have helped to more than half it in Melbourne – saving the Victorian Government $15 million a year," Currie says. "We looked at 10 cities around the world with similar issues and found fare evasion is concentrated in a small number of people. "This better understanding has helped the Victorian Government enact better-targeted policies that have led to a significant decrease in evasion overall." There is a need to conduct more practical research that is closely linked to industry needs, Currie says, and for scholars to "come out of their ivory towers and into the bus depot". Australia has unique problem when it comes to delivering efficiencies public transport because, while we don’t have that many people, the people we do have are all spread out. "Australia’s public transport problems are quite big and not easily solved," Currie says. "We have high carbon emissions for our population and a lot of low-density residential areas. "This means the resources we do have are not efficient as they could be and this inequality of access to public transport compounds the problem." He says the decade ahead looks bright, with many new young researchers coming through the ranks with the passion and drive to help build a better and smarter future for all of us.